Autodesk software(China) Co., Ltd. formally released the cleaning technology cooperation plan in China in 2015. Autodesk provides a maximum of 150 thousand dollar designed software to energy saving and environmental friendly start-up comoanies for free.Many start-up companies hoped to take more energy saving and environmental friendly design into account but couldn't afford the expensive price of the designed software, still using the hand designed or simple designed software. The cleaning technology cooperation plan could help these kind of enterprises to gain the same senior design software used by big enterprises for free and help them develop in the cleaning product field. Quanyou Jiasi Co., Ltd. is a manufacture that produces plate type suite furniture and engineering furniture. The development and design standard for material choosing has reached the standard in Europe and USA. On the operation process, the simultaneous development of design and moder science technology, guaranteed the environmental friendly technology. On the packaging aspect, environmental friendly design was reflected with many protection material used. As the biggest scientific research institute in the nation's architecture field, we in the lead in aspects of architecture energy saving, architecture environment, architecture design and structure. Our company contributed greatly to our country's energy saving, emission reducing and environment protection, especially on the aspects of ecological planning and green energy, contributing effectively to the policy guidiance, program implementation and supervision for the governments. The well known textile academy of the University of Leeds in England developed and introduced the technology of polymerization cleaning beads. This technology carried out a revolutionary transformation on the traditional washing machine. In order to promote the revolution on the traditional washing machine, Xeros was founded in 2006. 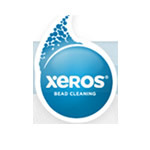 With comparision to the traditional washing machine, the technology of polymerization cleaning beads from Xeros proved the high energy saving efficiency and achieved significant effect in the dry cleaning industry. In the Crest dry cleaning company, the technology achieved 90% water saving efficiency with great washing effect. Xeros got the name of the best green manufacturor in 2014 from the Yorkshire Post as well as the bronz prize for the energy and sustainability of the Edison Prize. 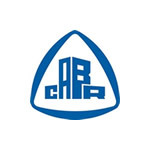 Rongda New Material Corporation focuses on the development of new materials,carefully designed "C依C" energy saving and environmental friendly sun blcoking products. The product has unique hollow hexangular bee hive structure with the air storaged in the hollow space, keeping the indoor temperature balanced effectively, energy saving and thermal insulation. In the daytime in summer, most of the heat could be prevented from flowing indoor, preventing the indoor temperature from rising and leading to the less usage of cooling eqiupment. At night, cold air cold be prevented from flowing out, keeping a comfortable sleeping environment. In winter, 10%-30% heat indoors could be prevented from losing, saving the heat energy, lowering the usage frequency of heaters and saving the energy fee expenses. The biggest architecture physical appliance institute Fraunhofer Gesellschaft indicates that the product sereies has an energy saving efficiency of 12%-15%, possessing various functions of flame retardant, water proof, antifouling, oil proof, antibacterial and anti ultraviolet. Shanghai Niuyuan Industrial Trade Corporation adhered to the idea of "environmental friendly and striving for excellence" since the foundation in 2003. When choosing suppliers, Niuyuan persists in "low carbon principle", voting veto to products that may cause pollution. In production, Niuyuan always look up to the advanced counterparts, using the advanced production technology, strat revolution on the lagging production management, strengthening staff's environmental awareness and keeping the standard of "zero discharge" of the waste liqiud in the process of production. 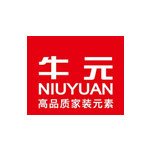 Niuyuan firmly believes that high quality is the life of an enterprise. All products in produced in Niuyuan not only meet the reqirements of the national standards, but also meets the requirement for the "Code for Indoor Environmental Pollution Control of Civil Building Engineering". 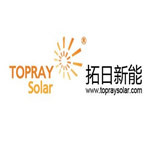 As the leading designer and manufacturor in China, Topray Solar New Energy designed and produced over 100 solar power products. The products have now being sold in over 80 countries and regions with customers of over 30 top-level market chains. The corporation gained over 170 patents granted from the nation with 53 patents on production design. The first nation's renewable energy demonstration project-300KW photovoltaic project was designed and constructed in 2006. 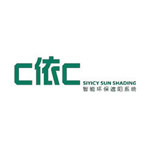 The "integrated amorphous silicon photovoltaic battery curtain wall" was selected as the "World Most Investment Value of the Ten Leading Technology-Blue Sky Award" by the UN Industrial Development Organization. Anhui Longge Design Materail Corporation Limited is a private enterprise focusing on the wood and plastic environmental friendly materials with over 80 patents. The development and application of the second generation PVC wood plastic surface extrusion technology passed the evaluation of professional experts, occupying the advanced level throughout the world, greatly impacting the field of PVC wood plastic production appliance. The corporation pursues the true sense of green environmental friendly WPC product. Many products passed the detection of the authority institute like SGS with no heavy metal pollution of formaldehyde and lead, meeting the European and USA exporting standard. 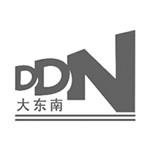 China Zhejiang Dadongnan Group was founded in 1975, developed as the top 500 enterprises of plastic products after 31 years of development. The corporation manily focus on producing high technology plastic sheet as well as all types of plastic packages, plastic hanger, wire ropes and steel strands with abundant technology power, importing advanced international technology equipments from Hong Kong, Japan, Germany, Britain and Italy, as well as developing and producing high level plastic packaging base material and packages which adapts to the market demand, forming a competitive advantage of on "first-rate eqiupment, first-rate technology, first-rate product",achieving the prize honors of "Nation Top 50 Comprehensive Optimal Benefit Industrial Industry", "Nation's Leading Enterprise in Plastic Packaging Production", "Nation's Top twelve Export Town Enterprises" and "National Key High Technology Enterprise". 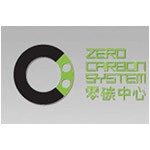 Zero Carbon Center is the pioneer of the world's low carbon architecture design and low carbon city planning resolution. The core group in Zero Carbon Center came from the architects and planners of zero energy consumption factory of the first zero energy consumption eco-town-Beddington, South London in 1999. Zero Carbon Center commits to low carbon city planning, architecture design, technology development, carbon measure, engineering installation, investment advisory low carbon resolution programme. Up to now, the corporation has provided service to Wanke, Chinese Academy of Sciences, Shanghai Expo, Beijing Tongzhou, Hainan Boao and Shanghai Disney.